The basketball season is here! What better way to kick it off than to pick up some packs of Hoops? Hoops has been around for a very long time, and it's been popular since it was first released in 1989. 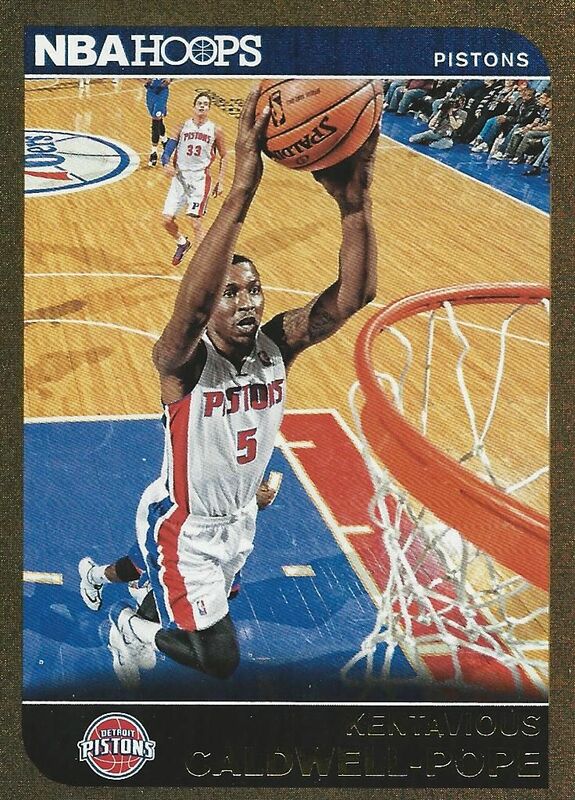 Panini has given Hoops a bit of an upgrade this year. It definitely looks to be of higher quality! Let's see what this venerable brand has come out with this time around. Oh no! It's the dreaded low-end white border! I am not a fan of white borders, but somehow these base cards overcome and actually look quite nice. Hoops has a nice glossy front with a minimal design that harkens back to the very first set. I am a big fan of having the team color represented on the front as well as just a little bit of foil to give the card a bit of pop. I was also pleasantly surprised by the quality of the photos they used in the set. Panini has really stepped up its game in that area with their lower-end products. I found myself really enjoying the images on these cards. I wish I could say that the backs of these cards were as good as the front. But I can't! 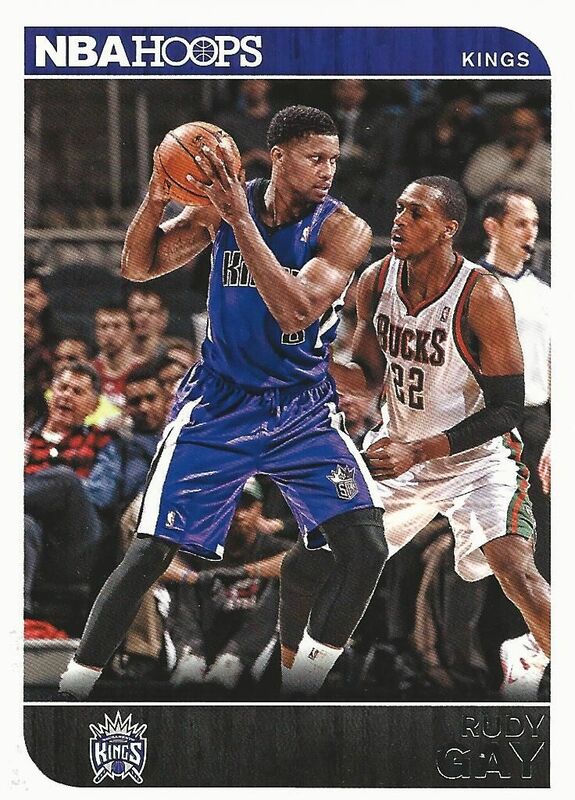 Panini used a design that they had from other low-end products in other sports. This design gets the job done in terms of stats, but that's really it. It is such a spartan and boring design! I really wish they had changed it up and done something better. Rookie cards don't differ too much from the standard base cards, but are different enough that they stand out well from the other cards. 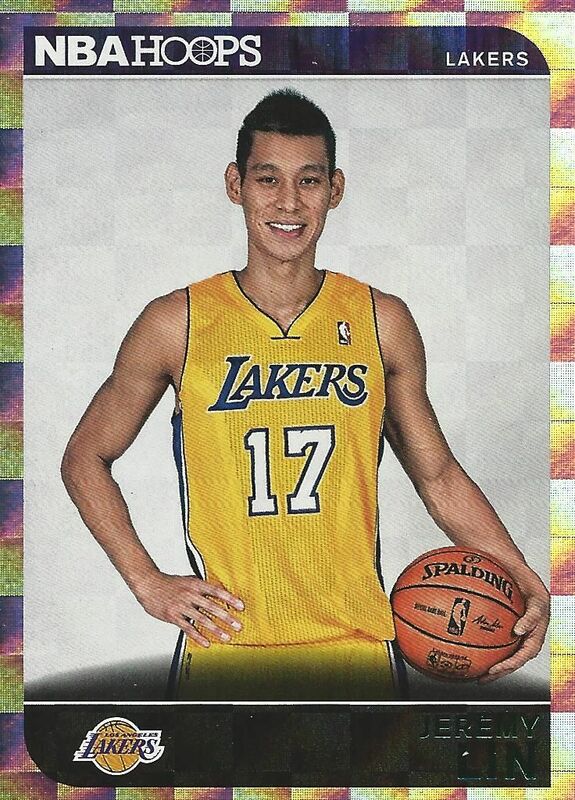 Rookie cards are denoted by a small foil RC logo in the bottom left corner. The players are also set on a black backdrop. You can definitely tell the rookie cards apart from the others when you go through them in a pack. I like that. Boxes of Hoops have a huge mix of inserts and hits. Pack busting is very fun as many packs have multiple insert cards to be found. I was surprised at just how many different insert sets were included this year. Along with the inserts there are also quite a few parallel versions of these cards. The first kind of parallel card I noticed were these foil variants serial numbered to just 399. The cards look great with the all-foil embossing, and numbering is decently limited as well. Another foil parallel comes in the form of a square shaped pattern. These cards look pretty good too, but they don't have serial numbering. Often you'll find both these parallels and the serial numbered ones in the same pack. Yet another parallel card are these sparkly gold bordered parallels. These also look pretty good and are eye catching, but I'm not sure why we need so many different parallel versions of the set. I think it's a bit overkill. And if that weren't enough, there are red backed versions and parallels of the inserts too! So many parallels! 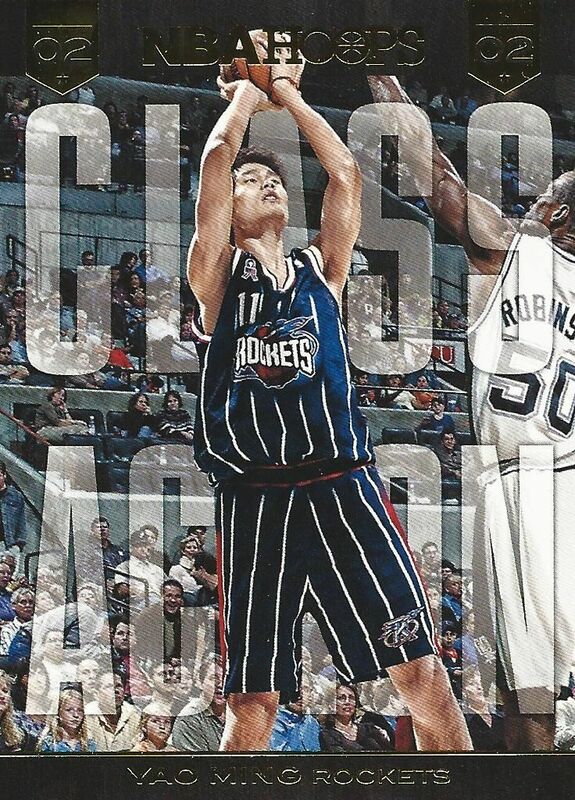 One of my favorite inserts from Hoops is the Lights... Camera... Action! cards. These cards feature some really unique photographs of the players. The cards do not have borders, and that really gives it a photographic look. Class Action inserts have a pleasing design as well. I love the huge words in the background. There have been similar designs like this in the past, and I'm a sucker for every one of them. 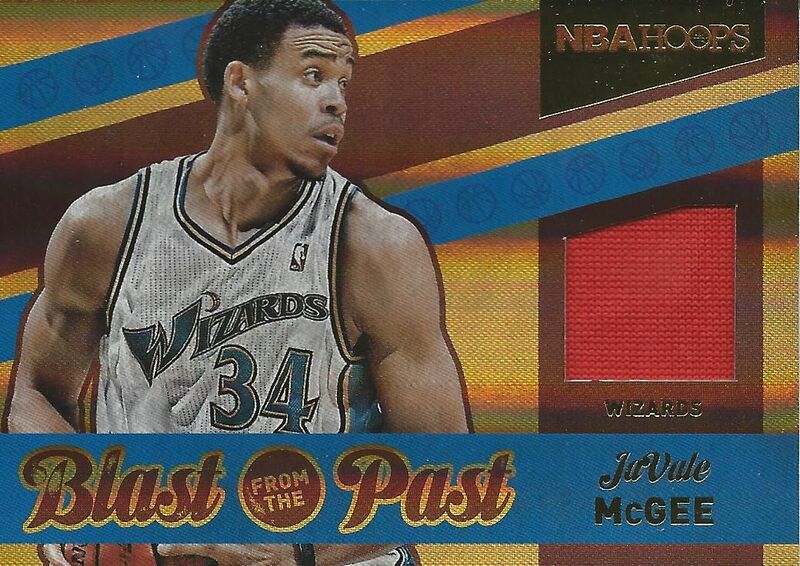 These cards feature standout players from specific draft classes. It's a pretty novel idea! The NBA Playoffs and Finals have a dedicated set in Hoops. These cards feature foil and serial numbering! I am loving how this lower-end set has plenty of cards with serial numbering and foil touches. The standard numbering on these cards is to 2014. Very appropriate! 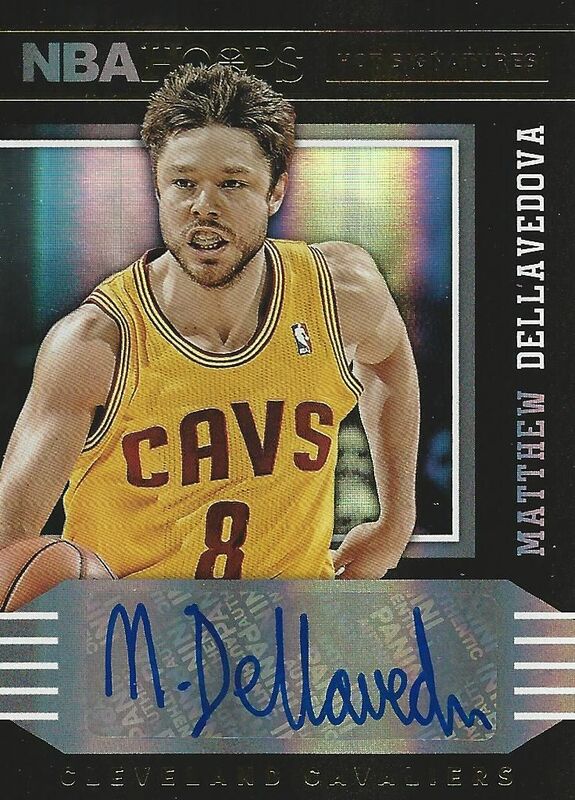 The autographed cards in Hoops this year look very nice. Each card features a sticker autograph on foilboard. I am a huge fan of the way these cards look. There seems to be a huge variety of players in this autographed set and a ton of rookies as well. It's the perfect autograph card to be inserted into this product. The memorabilia cards also come with foil! 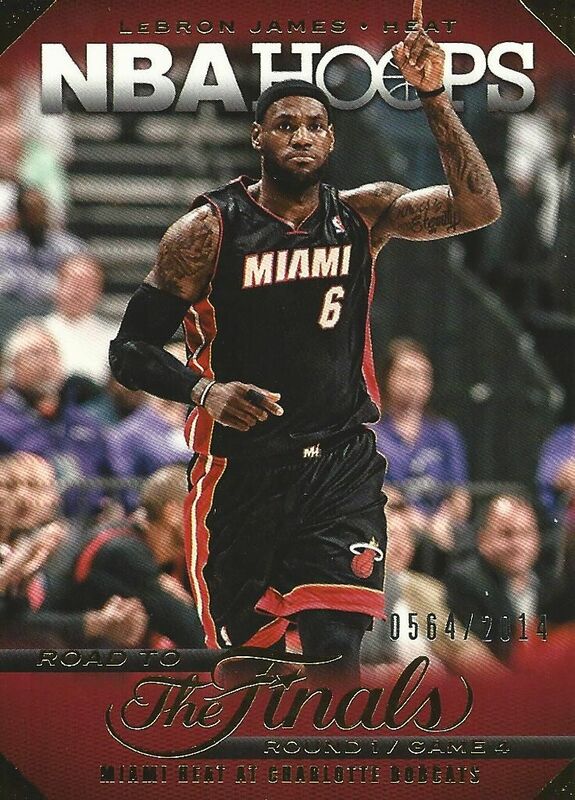 Panini has definitely led the way in terms of using foil on mem cards. Even though this is just a standard jersey card, the design of the card really pops and it is satisfying to pull it out of the pack. 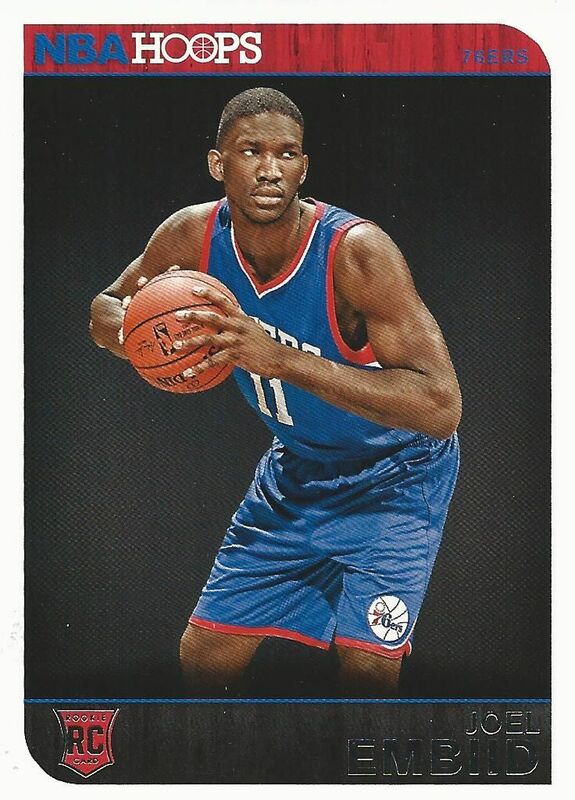 I can surely say that Panini did right with the hits you can find in Hoops this year. Hoops has a huge amount of other inserts to find within its set. There is certainly no lack of variety with it. 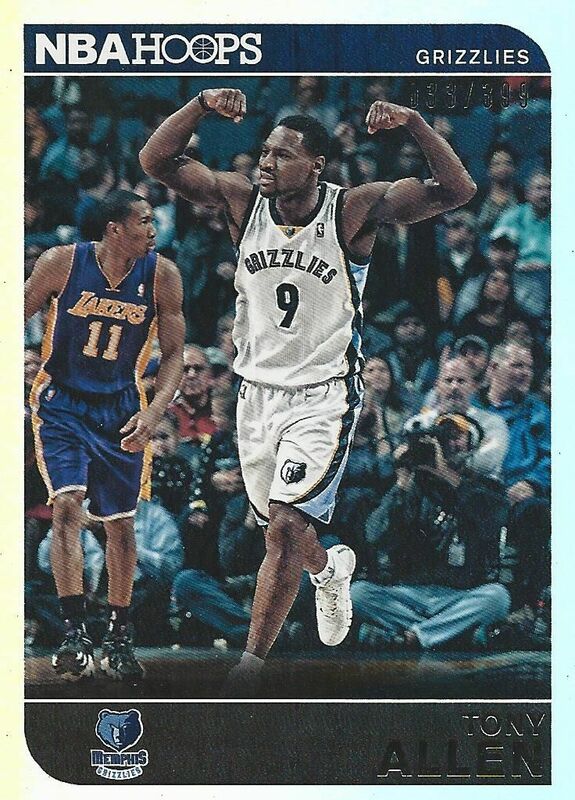 Collectors of all ages will find something that they will enjoy getting when busting packs of Hoops. I am very pleased with Hoops this year. It's an exciting product to open and enjoy. It seems like there is a bit of something for every collector out there. I think every basketball fan should get their hands on some packs of Hoops. The inserts, the parallels, and the hits are all great. Are they going to be worth a ton? Well, probably not... but there is always a chance of hitting a big low serial numbered rookie! I would definitely recommend NBA Hoops this year. Snag a box and enjoy it! There are a decent amount of numbered cards and some nice looking hits for a lower end brand. Would definitely be an all around fun break no matter what. Thats a very cool product !! Seems like its a lot of fun to open them ! 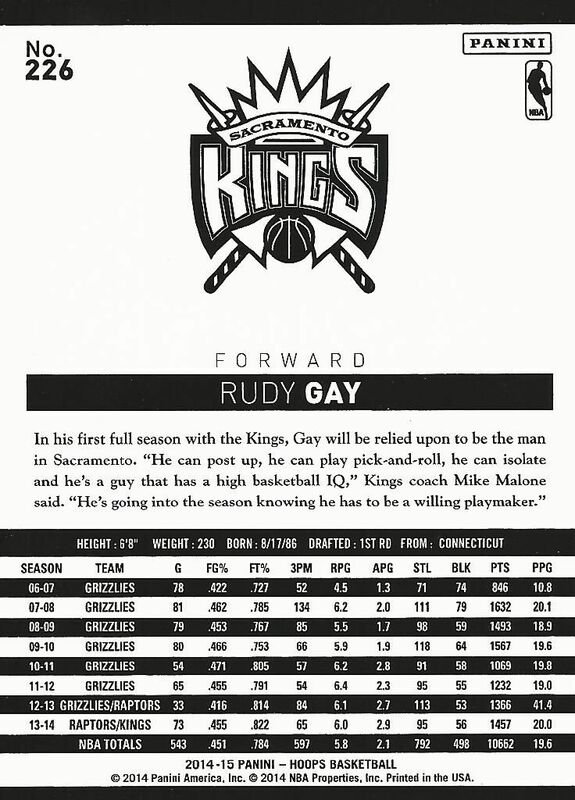 I still have some original hoops cards. I'm glad this version isn't junk wax! + You can get a lot of inserts and parallells. It's great to see serial numbered cards in a lower-end product! - The base card backs aren't interesting or good looking at all. really good review might have to go and get a box for myself! The look of Hoops is very nice and clean. Also the inserts are always great looking. NBA always one of the top sport leauge in the world. Thanks for the great article, im also read similar basketball related article on https://www.probasketballtroops.com hope you also like this and enjoy basketball tips.